Are you a budding entrepreneur ready to change the world? Are you intrigued by the vast possibilities enabled by the latest advances in Machine Learning? The Startup Ideation Workshop is your golden opportunity to team up with other smart people to build an exciting Machine Learning based startup over the course of a weekend! Participation is limited to 30 people. We welcome participants with both business and technology backgrounds. Buy your ticket now to secure your spot! 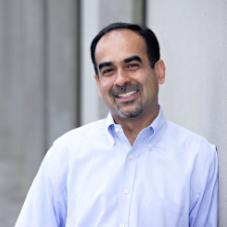 Amit Mital is a senior executive in the Technology industry and a recognized leader in disruptive innovation. He is currently the founder and CEO of Kernel Labs, an incubator that is creating startups in the Machine Learning and Big Data space. In the last 18 months, Kernel has incubated over 7 startups, each of which have successfully raised substantial external funding. His prior role was EVP/GM and Chief Technology Officer (CTO) at Symantec Corporation. Amit joined Symantec after 20 years with Microsoft, most recently as the corporate vice president for the Startup Business Group, where he was responsible for managing strategic product development along with identifying and executing new innovation opportunities. He holds 43 patents. Shirish Nadkarni is a serial entrepreneur with proven success in creating multiple consumer businesses that have scaled to tens of millions of users worldwide. Shirish was the co-founder of Livemocha, the world’s largest language learning site with 15+ million registered members from over 200 countries. Livemocha was acquired by RosettaStone in 2013. 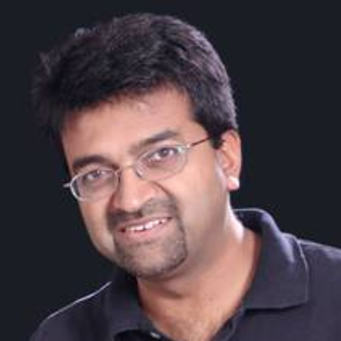 Prior to Livemocha, Shirish was the founder of TeamOn Systems, a mobile wireless e-mail pioneer that was acquired by Research in Motion in 2002. The TeamOn technology served as the core foundation for Blackberry Internet E-mail which served over 50 million BlackBerry users. Jay is a technology executive, machine-learning enthusiast and serial entrepreneur whose startup career spans over 20 years. 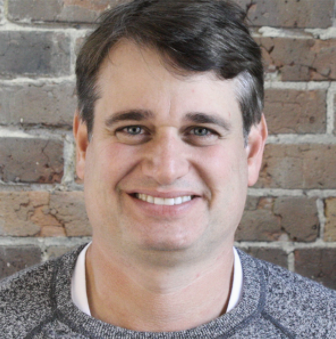 Jay co-founded 4 venture-funded data/analytics companies including AdRelevance, Farecast, Medify and Vhoto which were acquired by Nielsen/NetRatings, Microsoft, Alliance Health Networks and Hulu, respectively. Jay is currently CTO of Madrona Venture Labs where he and his colleagues work on spinning up new company ideas, applying thoughtful vetting processes to weed out the good from the bad and ultimately working with founding teams to take the best ideas out into the wild. Soma joined Madrona in November 2015 and is a Managing Director at Madrona. 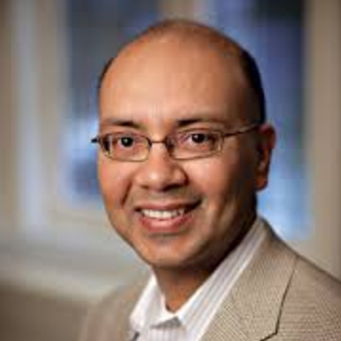 Prior to Madrona, Soma had a successful twenty-seven year career at Microsoft Corporation. His last role at Microsoft was Corporate Vice President of the Developer Division. Soma has long been an angel investor with investments across a wide range of technology areas both in the U.S. and internationally. At Madrona, he is focusing on Machine Learning/Artificial Intelligence, Intelligent Applications, Developer centric platforms and tools, and the emergence of new technologies such as VR/AR. 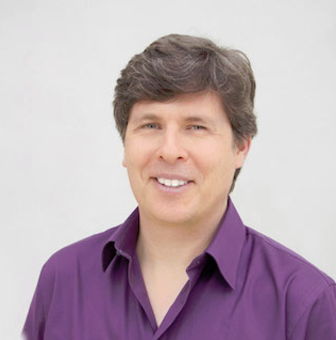 Dr. Oren Etzioni is Chief Executive Officer of the Allen Institute for Artificial Intelligence. He has been a Professor at the University of Washington's Computer Science department since 1991, receiving several awards including GeekWire's Hire of the Year (2014), Seattle's Geek of the Year (2013), the Robert Engelmore Memorial Award (2007), the IJCAI Distinguished Paper Award (2005), AAAI Fellow (2003), and a National Young Investigator Award (1993). He was also the founder or co-founder of several companies including Farecast (sold to Microsoft in 2008) and Decide (sold to eBay in 2013), and the author of over 100 technical papers that have garnered over 25,000 citations. The goal of Oren's research is to solve fundamental problems in AI, particularly the automatic learning of knowledge from text. Oren received his Ph.D. from Carnegie Mellon University in 1991, and his B.A. from Harvard in 1986. Greg was an initial Managing Director of Madrona Venture Group where he now serves as a Venture Partner. He is the founder of Rover.com and co-founder of Spare5 and Madrona Venture Labs. He is the author of three books. Greg is also an adjunct faculty member at the University of Washington Computer Science & Engineering department, where he teaches a course on entrepreneurship. 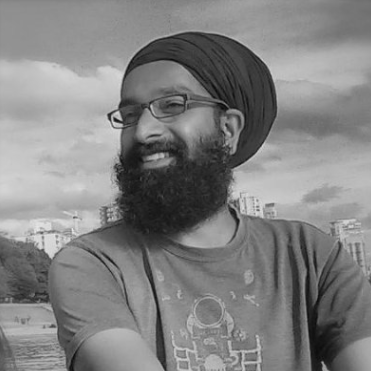 Gurdeep Singh Pall is the Corporate Vice President for Business AI at Microsoft Corp, and part of the AI & Research Leadership Team. Gurdeep Pall leads a team comprising of Research Scientists, Engineers and Business leaders, bringing digital transformation to many industries thru the power of AI. Prior to this, Gurdeep was responsible for Skype, Skype for Business and Microsoft Teams efforts, including creating Lync (now Skype for Business) and developing it into a multi-billion $ business. Gurdeep Pall was named one of the "15 Innovators & Influencers Who Will Make A Difference" in 2008 by Information Week. He co-authored "Institutional Memory Goes Digital," which was published by Harvard Business Review as part of "Breakthrough Ideas for 2009" and subsequently presented at the World Economic Forum 2009 in Davos. Pall holds 25+ patents in networking, VoIP and collaboration areas. He serves on the board of trustees of Ashesi University, Ghana. Ravi Jain is currently at Amazon, as VP for the Machine Learning platform that drives Alexa, Amazon's voice assistant. 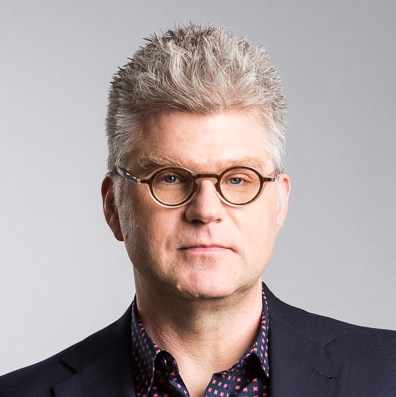 Previously he was at Vulcan, Paul Allen’s holding company, as CTO and Advisor to the Founder on Products and Technology, where he also led engineering in applied machine learning, technology for social impact, and advanced concepts. Before that, he was at Google for 10 years, where he led mobile ads engineering; led a diverse team of scientists and engineers at Google Research; initiated and led Google’s location based services platform; and led Google’s mobile search syndication platform. The engineering efforts in mobile ads led to a multi-billion dollar business that drove a significant fraction of Google’s queries, revenues and usage. 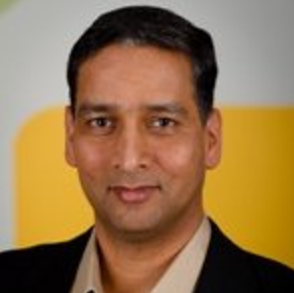 When Google acquired Motorola Mobility Ravi led engineering as VP for applications and experiences, where his team developed highly-acclaimed intelligent, personalized, contextual mobile services. 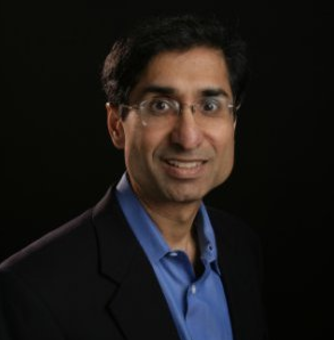 Ravi has over seventy published papers, three books, numerous patents, and is frequently a keynote speaker and panelist at research conferences. 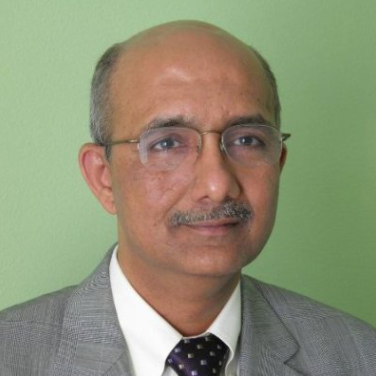 He has a PhD in Computer Science from the University of Texas at Austin and is an IEEE Fellow. 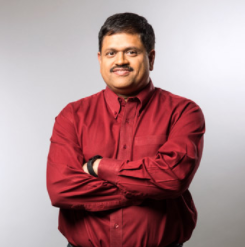 Neel Sundaresan manages the Data platform, analytics, tools and Data Science and AI/ML organization with focus on the developer and cloud community and tools. Prior to this, Neel was a Senior Director and head of eBay Data Labs and eBay Research Labs and he managed data science and engineering, machine learning, and he founded the economics and computer vision organizations. He led initiatives in big data tools, search, recommender systems, advertising, marketing automation, visual and mobile experience, and economics of commerce and had significant positive impact on eBay’s revenue. Prior to eBay, he cofounded a SaaS company in network CRM and product search in silicon valley and signed up over 50 paying customers during the dotcom bust. He has a PhD in computer science from Indiana University, Bloomington and masters in Computer Science and Engineering from IIT, Bombay. 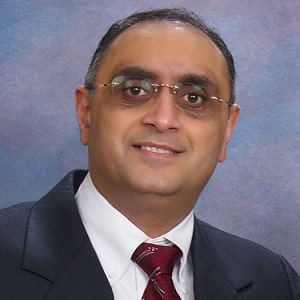 Neel has 140 issued patents and over a 100 publications and is a frequent speaker at national and international tech conferences. Vani Mandava is a Principal Program Manager with Microsoft Research at Redmond with over a decade of experience designing and shipping software projects and features that are in use by millions of users across the world. Her role in the Microsoft Research Outreach team as Director of the Data Science for Research effort, is to enable academic researchers and institutions develop technologies that fuel data-intensive scientific research using advanced techniques in data management, data mining, especially leveraging Microsoft Cloud platform through the Azure for Research program. Maria has nearly a decade of deep technology experience, garnered through roles at some of the world’s leading technology companies, including Cloudflare, Intel and Boeing. Maria was head of business development and an executive team member at Cloudflare, a San Francisco – based web performance and security company, where she helped build the company from 25 employees to unicorn status. 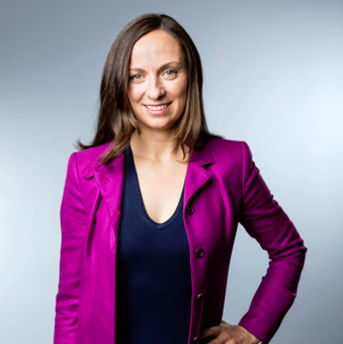 Prior to Cloudflare, Maria was an investor at Intel Capital with a focus on enterprise technologies and cloud security. Sanjay is a marketing and product management leader who has successfully helped commercialize a wide range of breakthrough technology offerings -- spanning roles with innovative startups and mid-sized growth companies, as well as top global enterprise / B2B organizations. As a products executive at startups (iConclude, Opsware, Edifecs) and large companies (Microsoft and HP), Sanjay has helped companies achieve successful exits and exceptional revenue growth. Sanjay holds a B.S. in Electrical Engineering from IIT-BHU and an MBA from Kellogg School of Management. Satbir Khanuja is responsible for leading the overall growth and managing day-to-day operations of DataSphere Technologies. He previously served as SecondSpace's senior vice president of marketing and business development, responsible for the company's partnership, traffic-building and revenue-generating initiatives. He also spent seven years at Amazon.com as a member of the executive team and was vice president of Amazon.com's Worldwide Traffic organization, responsible for driving billions of dollars in sales through free and paid traffic to all Amazon.com websites worldwide. Previously, he was vice president and general manager of Amazon.com's IMDb.com and In-Theater businesses, where he created all business functions and built the division into one of the 50 most-trafficked websites in the world. 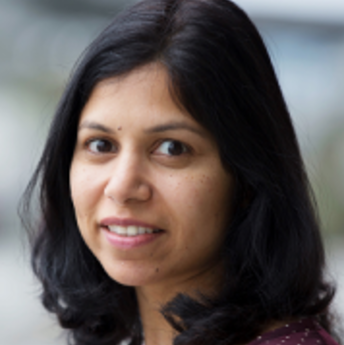 Debi Mishra is a Partner Director of Engineering in Microsoft’s Data Group working on Azure Machine Learning. 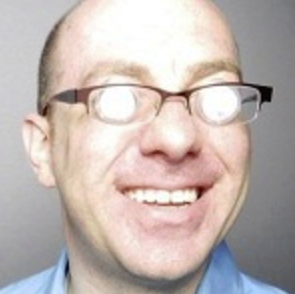 He has recently transitioned back to Redmond from Microsoft NERD in Boston where he started and led the Azure Machine Learning Platform and Studio team. During his 20 years in Microsoft, and prior to starting the Machine Learning Product effort, Debi led many v1 product engineering efforts in Microsoft – Distributed COM, Visual J#.NET, Windows Live OneCare, Windows Security Center, Bing’s Object Store and Azure Machine Learning among others. In between his Microsoft career, he founded a technology startup (Scholarity) that achieved breakthroughs in deep cognitive understanding of Math. Debi is an inventor with over 50 patents filed and 28 patents issued. 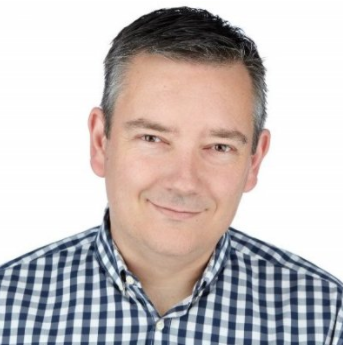 Co-Founder and CTO, Offer Up, Inc.
Arean Van Veelan is a technologist with nearly 20 years cross functional experience with the design, building and management of software products. He is currently involved in management of products and teams touching social media, cloud, crowd-sourcing, mobile app development and LBS. Prior to Offer Up, Mr. Van Veelan designed, sold, implemented enterprise and consumer products at Boeing, Philips, Marconi, Union Pacific, FirstGroup, CAT, GE and other large corporations. Shrikant Palkar works as an enterprise architect at Costco Wholesale. In a career spanning close to three decades, he has been a programmer, designer, project manager, process consultant and systems architect. Palkar has worked on many multiyear and multi-technology business applications and engineering projects involving embedded systems and software for robotic sensors. As a visiting scholar at the Carnegie Mellon Software Engineering Institute, he taught several seminars on software processes, measurements and software architecture. He is cochair of the Seattle section of the Institute of Electrical and Electronics Engineers, where he is actively involved in the Teacher In-Service Program and as a judge in the Xtreme Programming Competition. 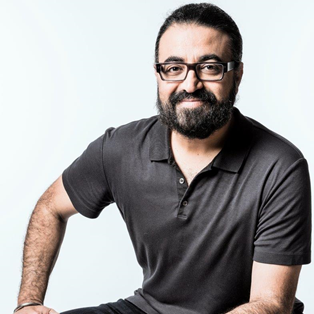 Deep Dhillon is an accomplished technology executive with extensive experience conceptualizing, architecting and deploying multiple advanced networking applications.At Xyonix, Deep's team helps companies leverage machine learning, NLP and data science based technologies in their product development. Prior to Xyonix, Deep was at CTO at Socrata, Deep where he helped public sector agencies pipe their data into the cloud, transform it into readily usable forms leveraging data science and ML techniques, and power a new generation of transparency and efficiency applications. Over the past twelve years, Elliott Waldron has practiced the application of quantitative analysis to solving a number of real-world business problems from airfare prediction to financial prediction. Prior to joining Placed, Elliott was Managing Partner and Cofounder at L1 Partners, a Seattle-based hedge fund that used machine learning to trade financial futures. Prior to L1, he played a key role in developing the world's first airfare prediction service at Farecast. 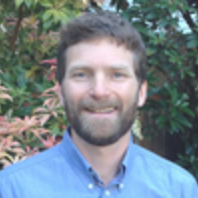 Elliott Waldron earned a PhD in Cognitive Psychology from the University of California at Santa Barbara and a BA in Psychology from the University of Puget Sound. Dinesh is an engineering leader with a passion for cloud computing, machine learning, artificial intelligence and information retrieval. He is currently working on building the next generation cloud technology at Google. Prior to this, Dinesh worked at Microsoft where he led various projects from ideation to realization. He drove the transformation of the Microsoft Store and Advertising business from legacy infrastructure to the modern cloud. Dinesh wrote the initial versions of Bing Ads relevance engine and fraud detection system. 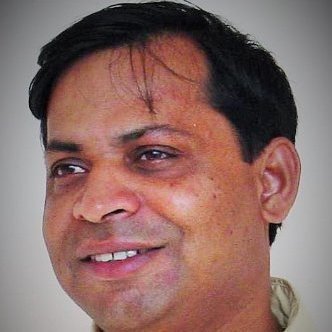 Earlier in his career, Dinesh was the Head of Development for Auptyma, India where he led the development of an extremely low overhead, cross-platform JVM profiler. Auptyma was later acquired by Oracle in 2007. 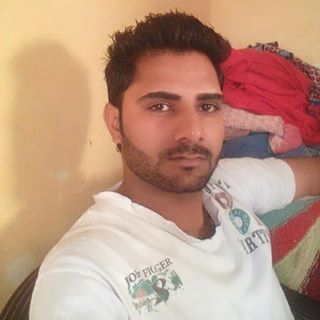 Dinesh holds an undergraduate degree in Computer Science and Engineering from IIT Delhi. Haresh Ved is a seasoned technocrat with 25+ years of proven experience in the corporate and startup world. He is the Founder and Managing General Partner of Cronus Ventures, an early stage VC firm he launched in 2000, and the Founder and Chair of the TiE Angels Group Seattle (TAGS), an angel investment group he launched in 2013. 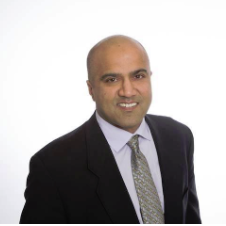 Haresh sits on the Board of Directors of TiE Seattle, a nonprofit with a mission to promote entrepreneurship. Prior to this, Haresh spent more than a decade holding key technology leadership roles at Microsoft Corporation, where he shipped more than a dozen products. He helped develop pen-centric and mobile computing technologies, systems and products early on, including Tablet PCs, Windows 95, Windows for Pen Computing, Windows CE, Handheld and Pocket PCs. He also played a key role early on in developing strategies and tools to take Microsoft products to international markets. 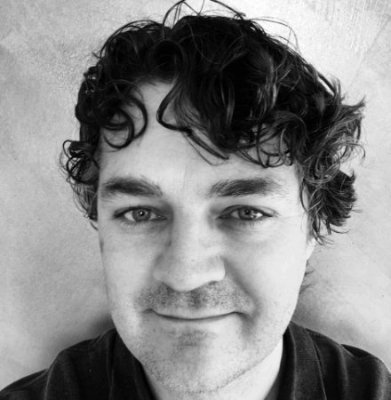 Nikko Ström is a technologist and scientist with a deep background in speech technologies. He is a Senior Principal Scientist and founding member of the team that built Amazon Echo and Alexa. Nikko has over twenty years of experience in the field of Automatic Speech Recognition from a few of the most prominent research laboratories and companies in the world, and has published extensively at international conferences, journals, patents, and books. Since 2011 he is a Principal Scientist at Amazon.com where he leads deep learning efforts in speech recognition and other areas. Nikko Ström achieved his Ph.D. at the Speech Communications Lab at KTH in Stockholm in 1997. The thesis makes significant contributions in speaker adaptation and Artificial Neural Network technologies. What is the purpose of the Startup Ideation Workshop? The purpose of the Ideation Workshops to help jump start the formation of new companies built around innovative technologies. Our first Ideation Clinic is based around Machine Learning but in the future, we will explore other technologies such as AR/VR, IOT etc. Do I need to have AI/Machine Learning experience to participate in this workshop? You don’t need to have prior AI/Machine Learning experience to participate in this workshop. We have mentors with deep ML experience who are available to help you. However, to get the most out of the workshop, we would recommend learning the basics of Machine Learning technology. Our Machine Learning resources section will provide you with guidance on how to get up to speed quickly. We would recommend learning the basics of Machine Learning technology prior to the event. Our Machine Learning resources section will provide you with guidance on how to get up to speed quickly. Please checkout our detailed Agenda for the program. We will start off by outlining specific ML based business opportunities along with associated data sets that you can analyze. Participants are also encouraged to bring their own ideas and pitch them to other participants. Participants then get to vote on which idea they want to work on. Once the teams are formed, they will need to work on analyzing the data sets and determine what predictive models they can develop and the market attractiveness of these models. Once they have settled on the value proposition, they will need to develop a prototype and a business plan presentation that they can present at the competition on Sunday. All along the process, the teams will be supported by mentors with significant ML and startup experience. What should I do if I have my own idea that I want to pursue on Machine Learning? If you have your idea, we would like to encourage you to participate in this workshop and pitch your idea to other participants. If people vote to work on your idea, you will have the opportunity further develop your value proposition and business plan. Plus you will get a chance to work with other participants who can join your startup team. How much time will I get to pitch my idea and what information should I include in my pitch? You will get 60 secs to pitch your idea. You should start by introducing yourself. Next, you should describe what problem you plan to solve and the product idea you have in mind to solve the problem that leverages Machine Learning technology. Finally, you should let participants know if you have identified a training data set (optional) to help you build your solution. You should also have a name in mind for your startup so people can easily vote to join your team. What are the rules for participating in this workshop? Please refer to the Terms and Conditions outlined on our website. Will the organizers own IP in any companies that are formed as a result of the Ideation Workshop? No, the organizers will not own any IP or have any ownership interest in the resulting companies. Our goal is to encourage the formation of new tech companies in the Seattle area. Companies are, however, free to partner with TiE Seattle, KRNL Labs or Madrona Labs if they wish to obtain help in incubating their company. In that case, they should apply to these programs and discuss the terms of such a partnership. Will the organizers provide funding for any companies that emerge from the Ideation Workshop? The organizers provide mentorship or incubation programs that can help jumpstart promising companies that emerge from thje Ideation workshops. TiE Seattle offers a network of experienced entrepreneurs and industry executives to mentor companies. In addition, TiE Seattle also assists early stage companies raise funding through its TAGS (TiE Angel Group) program. 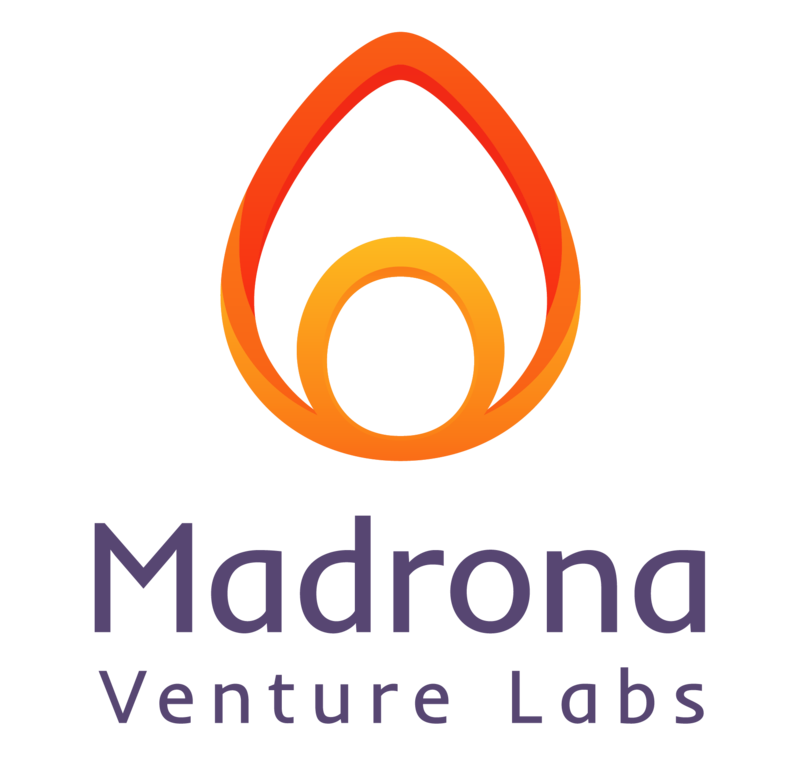 Both Madrona Labs and KRNL Labs offer incubation programs that have successfully launched a number of companies that raised significant funding. These programs will be described in more detail at our event so startup teams can leverage these programs once they decide to move forward with company formation. We will not refund any tickets one week prior to the start of the event as we have to finalize our food orders for the event by then. We apologize for any inconvenience that this may cause. By participating in the GoVertical Workshop, each Participant grants the Organizers (TiE Seattle, Madrona Ventures Labs and KRNL Labs) and its licensees, successors and assigns a non-exclusive, perpetual, non-cancelable, royalty free, fully paid up, worldwide right and license to edit, modify, adapt, translate, exhibit, publish, transmit, participate in the transfer of, reproduce, copy, create derivative works from, distribute, perform, display and otherwise use all and/or any part of such Participant’s names, likenesses, photographs, voices and images of all persons referenced and/or appearing in materials generated at the event, without limitation, anywhere in the world in any form (tangible or intangible, permanent or ephemeral, including, without limitation, audio, video, print, electronic, written, and photographic) and via any transmission medium (including, without limitation, television, radio, Internet, and print) now existing or that may exist in the future for advertising, trade, promotion, publicity and other related purposes without compensation and without notice to or consideration, review or approval from Participant. Each Participant further agrees to (i) be questioned or interviewed (whether in person or by other means such as email or phone), filmed and/or photographed and available for interviewing, filming, photography and for other public relations, marketing and promotional activities associated with the Event, as reasonably required and directed by the Organizers, (ii) allow the Organizers to make contact with the Participant (whether in person, by phone, email or otherwise) for the purpose of requesting further information from the Participant in relation to their participation or for any other purpose related to the Go Vertical workshop. Each Participant represents and warrants that neither its participation, nor the Organizer’s exercise of any of the rights granted to it under these Terms will (a) infringe or violate any rights of any third party or entity, including, without limitation, those relating to patents, copyrights, trademarks, trade secrets, moral rights, mask works, defamation, privacy, publicity, false light, misappropriation, confidentiality, and/or any contractual or other rights recognizable under any applicable law, rule, regulation, ordinance, judgment or decree (collectively, “Law”), or (b) otherwise violate any applicable Law. Participants agree to act professionally, treat everyone with respect, and treat the event facilities with proper care. Participants agree that they are responsible for any accidents or damages that they cause. They also agree to not hold the Organizers, the organizing team, or any of the event supporters liable for any loss, damage, injury, or any other unforeseeable incident.